Based around brolly shape with extended sides and a Velcro attachable ground sheet. 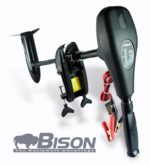 The canopy is made from extra durable PU coated nylon and features taped seams. Two storm rods are supplied for fitting to the front of the canopy as shown. Second storm caps are located at the sides for application of shorter storm rods of the users choice. 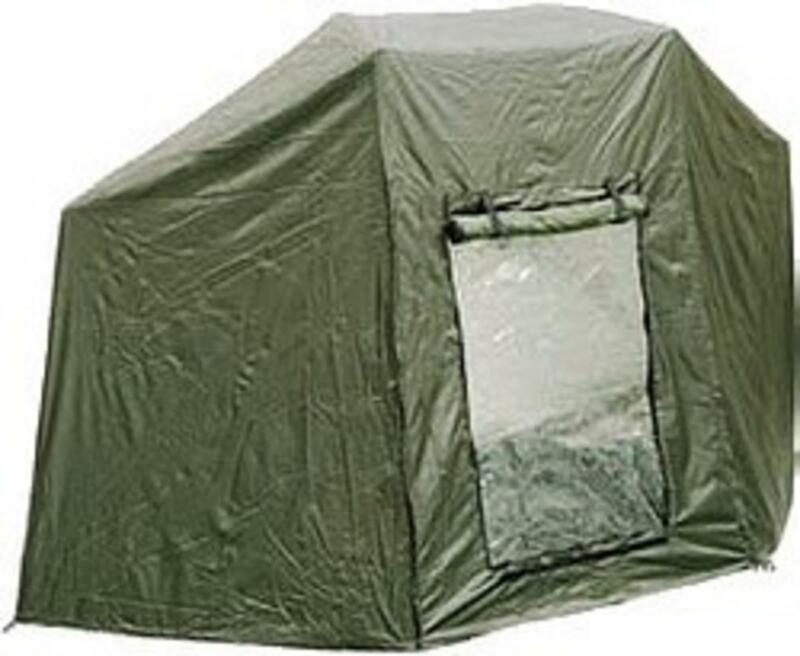 Supplied separately the overwrap converts the shelter to a mini bivvy and features a roll up zippable door for access. 5' 6" when folded, 2.3m wide and 1.5m tall when erect.